Some of Nuheara's true wireless earbuds. 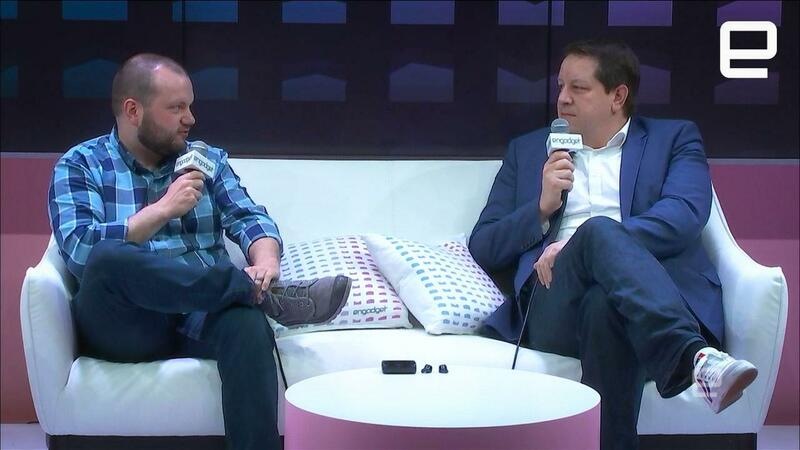 A number of companies revealed their plans for accessibility at CES this week. The number of companies that sell true wireless earbuds has exploded in the last year. 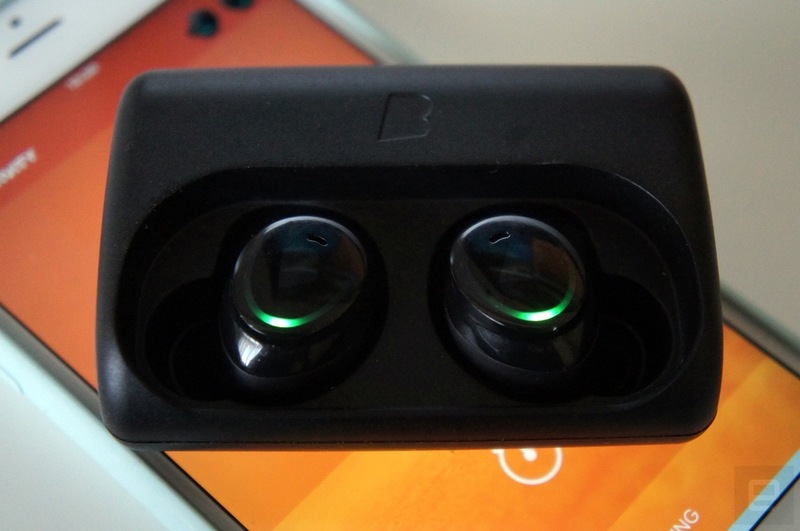 B&O, Bose, Sony and Samsung all joined the craze Bragi started back in 2014. Thanks to a bill signed into law last year, some hearing aids and assistive audio devices will be available over-the-counter without the need for a prescription. Headphone companies are also using their tech to help people with hearing problems, especially those suffering from tinnitus. According to the CDC, around 50 million Americans suffer from some degree of tinnitus or ringing in their ears. The organization further explains that about 20 million of those people have a chronic issue, while around 2 million suffer from debilitating tinnitus -- and that's just in the US. The Over-the-Counter Hearing Aid Act of 2017 that was signed into law last August aims not just to make hearing aids more accessible, but to give people with mild-to-moderate hearing loss more options besides having to get a doctor's prescription. It allows millions to manage their own health care. As part of that law, the FDA will create a new category of hearing aid, mostly to make sure a manufacturer's claims meet the standards expected for medical devices. Accessibility is one big part of what will change under the new law, but it will also go a long way to reducing the stigma surrounding hearing loss. Doppler Labs' KR Liu told Engadget in an interview this week that more and more companies are interested in accessible tech, most specifically adding features or products to help people hear better. Over 50 million Americans have hearing loss, yet fewer than 15 percent will go get hearing aids mostly because of cost and stigma," she explained. "[This legislation] will allow technology companies to sell devices over-the-counter devices to consumers with hearing loss." Liu also worked closely with Sen. Elizabeth Warren (D-Massachusetts) to pass the Over-the-Counter Hearing Aid Act with almost unanimous bipartisan support. "Today, if you want to do that, it's a highly regulated medical device," she continued. "You still need guidance from the FDA, but it allows the technology industry to sell to this community, which will drive prices down and also bring the conversation around hearing to be more socially acceptable." Being able to run down to the store and pick up one of these new hearing aids will be tremendously helpful to those with hearing loss, but true-wireless earbud maker Bragi is going one step further. At CES 2018, the company announced Project Ears: an initiative with Mimi Hearing Technologies that will add personalized hearing enhancement to its line of Dash earbuds. The idea started with an early Bragi customer who modified the Dash to help with tinnitus. Although Project Ears will certainly help those suffering from that chronic ringing, it will also assist those with hearing loss. Bragi founder and CEO Nikolaj Hviid told me that the move is all about the next step in wearable computing. "It's about extending what the Dash can do," he explained. "Physically it's the same -- from a hardware perspective." Through software tweaks, the company can make its products perform two functions and further extend what Bragi refers to as "wearable computing." Like much of what Bragi does already with this audio gear, Project Ears will be customized to each person. Thanks to Mimi's customized hearing maps, the earbuds will offer a hearing solution to each individual based on the results of a hearing test. In fact, there's already a so-called Earprint test from the collaboration -- what's better known as a pure tone threshold test, if you want to get technical. "No two people hear the same, much like glasses," Hviid said. "Project Ears is the concept of glasses for the ears, predominantly focusing on the people who have tinnitus. We thought we could modify our software so that these people could be helped." There are some sacrifices that have to be made. Not all of Bragi's tracking features and embedded storage will be available on these new devices, though the hardware will be exactly the same. "Initially we made the choice to take a lot of the features out," Hviid continued. "It's a very sophisticated product, but it needs to be simple." Bragi isn't the only firm trying to help people hear better. A number of companies at CES, including Nuheara, offer devices that can help with hearing issues or just help you understand someone in the chaos of a noisy office, construction site or other hectic environments. In Nuheara's case, the company is on version 2.0 of its true wireless earbuds that offer assistive audio. 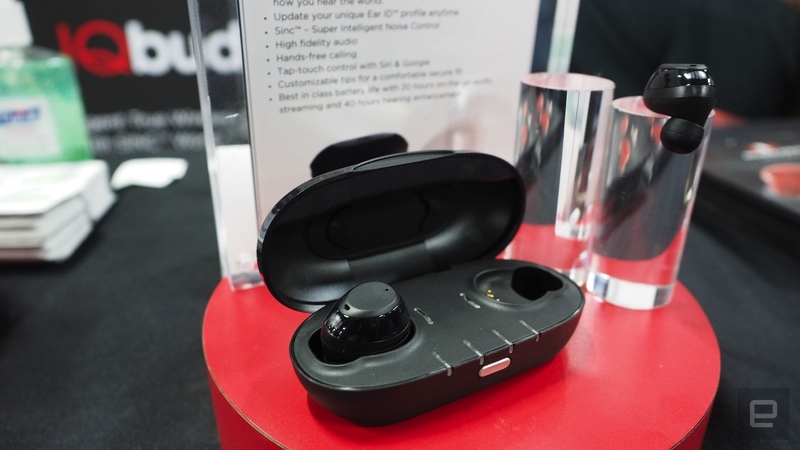 The first, called IQBuds, was announced at CES last year and the follow-up IQBuds Boost made their debut earlier this week. Like Bragi plans with Project Ears, Nuheara offers a solution that's catered to an individual's hearing profile. The company's software, known as Ear ID, can calibrate the wearable devices so they work best for you -- again, much like Bragi plans to do with its assistive-audio solution. Though a number of companies have followed Bragi's lead with true wireless devices of their own, it will take some work for them to offer assisted audio or sound amplification. As Hviid explained in an interview with Engadget, Bragi believes the tech in the Dash and Dash Pro is much more powerful than just wireless earbuds. There are sensors and other tech that enable the gesture control and other features that make Bragi's products unique. It's not a matter of just adding sound amplification to an existing product line and calling it a day: Bragi also plans to earn FDA approval for its assistive hearing devices. "We were part of creating a space that became very popular, but the space for us is not just true wireless headphones," Hviid said. "What we're making is computers for the body and the ears, and you'll see us expand that by creating computers that enable and protect you."